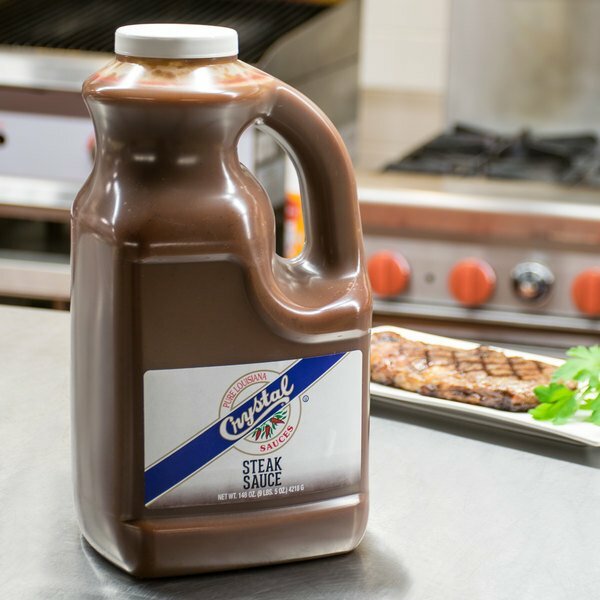 Season your steaks to perfection with this Crystal original steak sauce! Ready to use, it is the no-hassle way to spice up any plate. This versatile, tomato-based sauce is packed with seasonings and spices to produce its slightly tangy taste and rich color. With this sauce, you can quickly and easily enhance the flavors of your dishes without overpowering the natural flavors of the foods themselves. Though commonly used to season steak, this sauce can be used for much more! Use it as-is on hamburgers, meatloaf, and pork chops, or blend it into smooth and savory sauces. 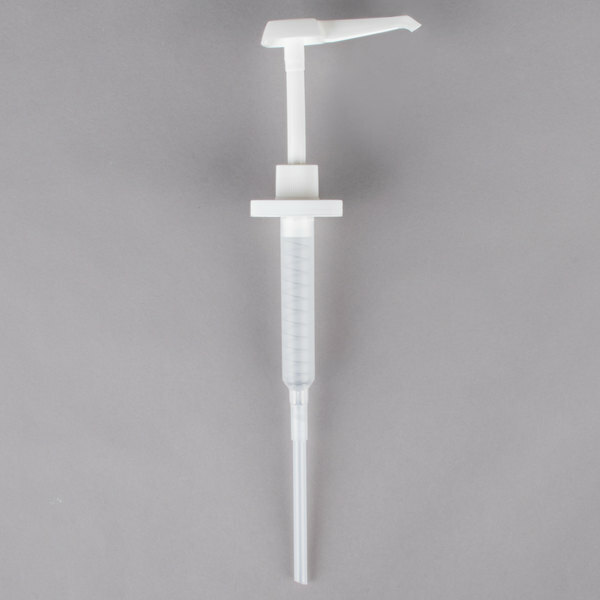 It can even be used for making marinades and putting the finishing touches on sandwiches, fish, and poultry dishes. 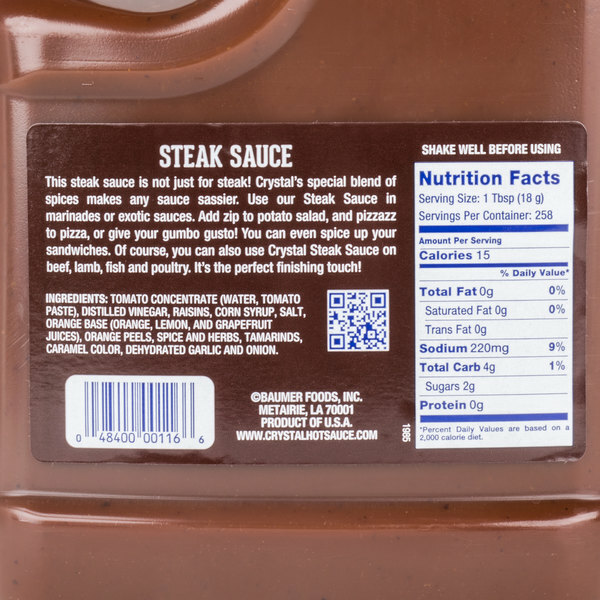 Save when you buy in bulk, and stock up on this supply of steak sauce for your restaurant, bar, or concession stand. 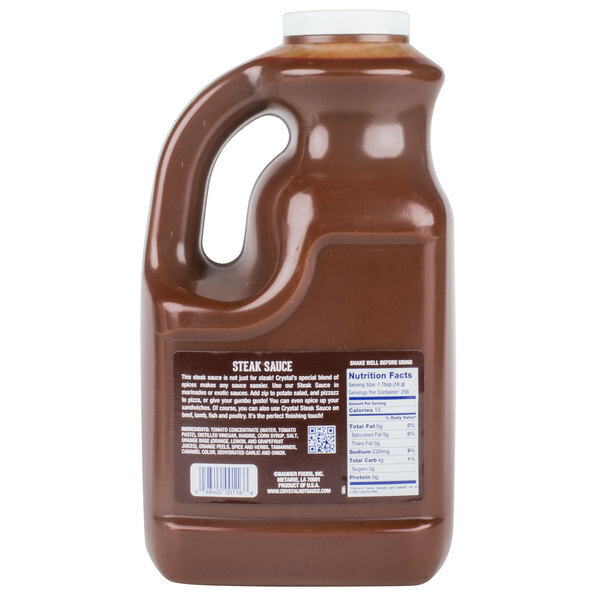 Add even more flavor to your grilled steaks and popular BBQ items with this Crystal original steak sauce! This is a huge savings! 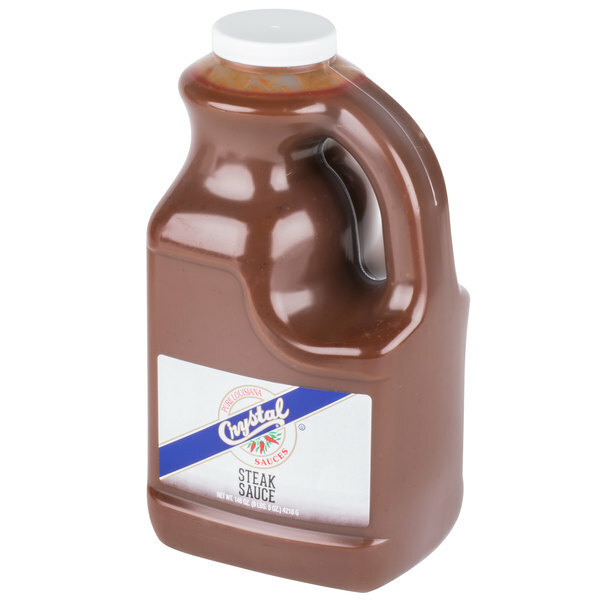 It is a great sauce and just as good as the name brand sauces but without the big price tag. 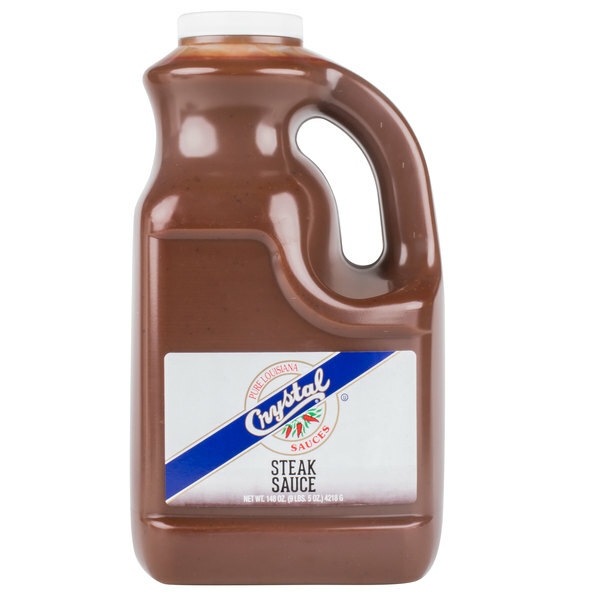 A great value steak sauce that is great for our diner. The sauce tastes great and is great for refilling our squirt bottles. The steak sauce has a really nice zing. A decent steak sauce but my least favorite of the webstaurant because it's just too thick. It reminds me more of a ketchup in consistency. This has a good flavor. It is great for the amount and the cost. If you serve quite a bit of meat this is is great to keep on hand.